It's been a bit over a week since Anita Kurmann was killed in a crash with a turning truck that then drove off without stopping. Few details are available but there are two things that we can be certain about: first that it is a terrible tragedy, and second that little to nothing will be done to prevent such tragedies in the future. There are possible alleviating measures that exist and could be required by proper regulation, including truck side-guards, or restrictions on the size, weight, number of axles, and length of trucks that are allowed on certain city streets. Our public street rights-of-way were laid out long before the concept of a 5-axle, 40 ton, 53-foot long truck was ever conceived. And it is difficult to imagine how a human-friendly environment could ever be compatible with such behemoths. Although technically receiving more oversight than the personal car, the trucking industry is remarkably regulation-free compared to other transportation sectors. No other form of transportation allows size, weight and maneuverability concerns to be so radically dismissed in the same way. Air traffic control would never allow an oversized jumbo jet to land at a tiny airport. Railroad companies would never tolerate oversized freight cars that slammed into bridge abutments. Yet, for some reason, when it comes to the road, we simply shrug when oversized trucks cause death and destruction on a daily basis. It is curiously ironic that city planners have spent the past century meticulously separating people's homes away from industry, but still continue to design extremely dangerous, high-speed roads carrying heavy industrial truck traffic right next to those very same homes. When it comes to regulation of motor vehicles, all the furor seems to focus around taxicabs vs Uber, where the regulations have no safety purpose, but are just one piece of a tug-of-war between the few dirty 1970s-style dirtbags who run the taxicab business and the slick B-school douchebags who run Uber. And when it's not about profits, it's about traffic speeds, because the only thing, besides money, that seems matter to people in power is convenience for suburban drivers. Such regulation has nothing to do with safety and everything to do with privileging the powerful. Meanwhile, some drivers manage to keep their license long enough to score four OUI offenses and kill someone. Or even when the police determine that a driver is an "immediate threat" the antiquated system cannot process the paperwork in time to prevent him from killing. Those are some real examples of problems that could be fixed with proper rules, procedures and regulations. I wonder if it will ever happen. The trouble is, of course, that regulations are not created solely based upon merit in achieving objective goals such as safety. Regulations are a product of politics, a swirling morass of money, culture, personal vendettas, and tribalism. 149 people were killed by motor vehicle crashes in the first 6 months of this year. But no politician is going to be held accountable for that carnage. Few voters even spend much time thinking about it. So the perverse story doesn't change from year to year. I won't pretend to have an answer, but I will note that if the problem is politics, then the solution has to be too. Often referred to as the “Anti-Snob Zoning Law,” the “Comprehensive Permit Law” and the “Massachusetts Affordable Housing Law,” Chapter 40B is seen as a “one-stop” permitting process for developers proposing low and moderate-income housing projects. Rather than applying to many local boards, the developer applies for a “comprehensive permit” to one local authority—the Zoning Board of Appeals (ZBA). Chapter 40B is significant in that it was one of the first instances in which a state exerted authority over local control in land use zoning.4 Therein also lays its controversy. Under 40B, a developer has the right to appeal to the state Housing Appeals Committee (HAC) if it is denied a comprehensive permit for a qualified project, or if it is granted one with conditions making the project uneconomic. Under 40B, ZBAs are able to approve projects with higher density than current zoning allows, making it more economically feasible to develop affordable housing. Chapter 40B only applies to municipalities that have less than 10% of their housing stock designated as 'affordable', and it does not apply to Boston at all (due to the Boston Redevelopment Authority). It's success has been limited: 48,000 units were created from 1969 through 2008, of which 26,000 were designated as affordable. That's an average of 1,230 units per year, or 666 affordable per year -- far lower than the demand. And only 55 municipalities (of 350) had met the 10% requirement after nearly 40 years of the law. Indeed, barely a month after Garrity’s ruling on the constitutional violation, the Supreme Court effectively cut off one possible avenue of remedy. In Milliken v. Bradley, it over-ruled a district court which had required cross-busing between Detroit and its surrounding suburbs. Since the lower court had found de jure segregation only within the city and not in the suburbs, the Supreme Court held that a metropolitan-wide order “would impose on the outlying districts, not shown to have committed any constitutional violation, a wholly impermissible remedy.” Milliken marked an important turning point in the Court’s approach to school segregation. Albeit by the narrowest margin (5–4) in any major school case yet, the Court halted the advance of school desegregation at the city line. Although many students of the matter believed a clear pattern of “state action” could be detected in the suburbs—notably in government housing loans and highway construction policies which operated to keep them predominantly white—the increasingly conservative Court majority declined to push its broadened doctrine of de jure segregation that far. The anti-busing protesters could no longer maintain segregated schools in the city; instead, they moved to the surrounding towns where they could promote segregation through the use of regulatory tools such as zoning codes. The borders of municipalities acted as effectively as segregated neighborhood boundaries had before. Since then, a common complaint of town NIMBYs opposed to residential development is that it might bring 'too many' students to the public school system, thereby 'overwhelming' it. Such 'pseudo-engineering' of the school system by laypeople -- as if they were engineers designing a waterworks -- is more likely to be a cover story for their true motivation: the exclusion of people unlike themselves. And this effect may partially explain why the Chapter 40B requirements have not been met by the majority of towns in the Commonwealth, even after nearly half a century has passed. At the recently constructed Charlesview project across Western Avenue from the Telford Street project site, the fully occupied 240 unit residential development has about 180 spaces of its 248 space parking garage used. Since there is no additional fee for parking above monthly leases at Charlesview, these numbers represent a true parking demand of about 0.74 spaces per unit. Think about how much affordable housing money has been wasted on these luxurious accommodations for automobiles -- which aren't even being utilized. I'm not a religious person but I think there is genuine evil in this world. And one of those evils is the persistence of segregation fifty years after the Civil Rights movement of the 1960s. One of the more important Supreme Court decisions of the year was handed down last month. Texas Department of Housing and Community Affairs v. The Inclusive Communities Project, Inc. ruled that 'disparate-impact' claims are valid under the Fair Housing Act of 1968. This ruling ensures that an important tool in the fair housing toolbox continues to be usable: the notion of 'disparate-impact', or that government policies can have an unstated yet implicit racially-biased effect. The Inclusive Communities Project brought suit over how the Texas Department of Housing and Community Affairs distributes tax credits for low-income housing. The Department’s policy, the group claimed, causes almost all affordable units to be built in racially segregated low-income areas, providing minorities with few opportunities to move to integrated or wealthier areas. Though the creators of the tax credit policy had no racial intent, according to the Inclusive Communities Project the results of the policy confined minorities to segregated areas. Recognition of disparate-impact claims is consistent with the FHA’s central purpose. See Smith, supra, at 235 (plurality opinion); Griggs, 401 U. S., at 432. The FHA, like Title VII and the ADEA, was enacted to eradicate discriminatory practices within a sector of our Nation’s economy. See 42 U. S. C. §3601 (“It is the policy of the United States to provide, within constitutional limitations, for fair housing throughout the United States”); H. R. Rep., at 15 (explaining the FHA “provides a clear national policy against discrimination in housing”). These unlawful practices include zoning laws and other housing restrictions that function unfairly to exclude minorities from certain neighborhoods without any sufficient justification. Suits targeting such practices reside at the heartland of disparate-impact liability. See, e.g., Huntington, 488 U. S., at 16–18 (invalidating zoning law preventing construction of multifamily rental units); Black Jack, 508 F. 2d, at 1182–1188 (invalidating ordinance prohibiting construction of new multifamily dwellings); Greater New Orleans Fair Housing Action Center v. St. Bernard Parish, 641 F. Supp. 2d 563, 569, 577–578 (ED La. 2009) (invalidating post-Hurricane Katrina ordinance restricting the rental of housing units to only “‘blood relative[s]’” in an area of the city that was 88.3% white and 7.6% black); see also Tr. of Oral Arg. 52–53 (discussing these cases). The availability of disparate-impact liability, furthermore, has allowed private developers to vindicate the FHA’s objectives and to protect their property rights by stopping municipalities from enforcing arbitrary and, in practice, discriminatory ordinances barring the construction of certain types of housing units. See, e.g., Huntington, supra, at 18. Recognition of disparate impact liability under the FHA also plays a role in uncovering discriminatory intent: It permits plaintiffs to counteract unconscious prejudices and disguised animus that escape easy classification as disparate treatment. In this way disparate-impact liability may prevent segregated housing patterns that might otherwise result from covert and illicit stereotyping. This is an important ruling if and only if the Federal government backs it up by strengthening and enforcing the regulations based on the Fair Housing Act. Unfortunately, over the past four decades, successive administrations including the current one have largely done nothing or acted to undercut the law. That might change now, with the Supreme Court's fresh ruling. "What began as a means of improving the blighted physical environment in which people lived and worked," writes Yale Rabin, became "a mechanism for protecting property values and excluding the undesirables." The two interest groups that were regarded as the undesirables were immigrants and African Americans. While instances of explicit racial exclusion through zoning and restrictive covenants are generally overturned by the courts, that has not been the primary mechanism through which segregation is created and maintained. Instead, the racially biased effect is engineered through neutral-seeming zoning codes that provide an aura of plausible deniability. For example, a zoning code might mandate a minimum lot size, such as a quarter-acre, for construction of housing, while forbidding anything larger than a single-family home to be built. None of the language used has any explicit mention of race or class, but the net effect is to restrict residency on that property for only a single family capable of affording a quarter-acre of land. In any reasonably attractive neighborhood, the price of that 10,860 square feet of land is beyond the reach of low- or middle-income families, thus effectively excluding all but the wealthy. That is not the only type of regulation that is used to make land and housing unaffordable. For example, onerous requirements for front yard, back yard, and side yard ensure that only those people wealthy enough to afford 'conspicuous waste' can live there. 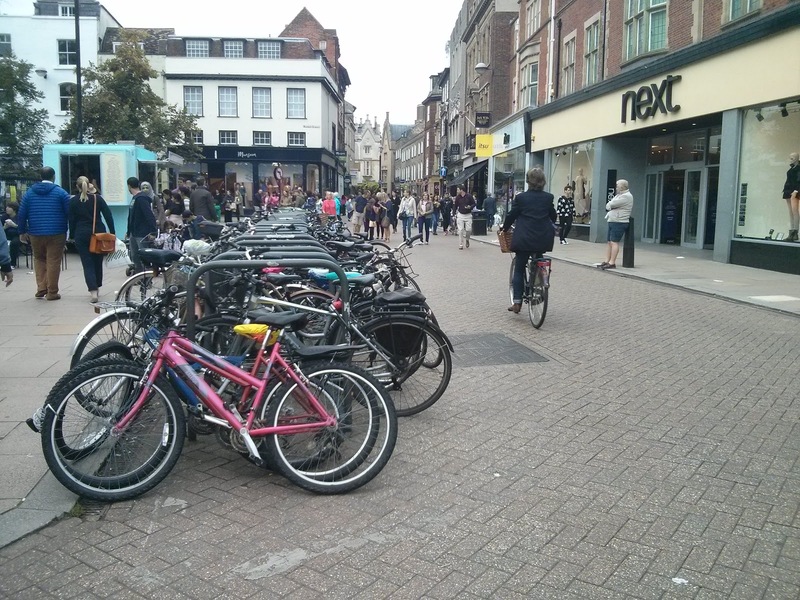 Minimum parking quotas force residents to pay for parking spaces whether they use them or not. And, most infamously, the prohibition against apartments or multi-family housing in many zones makes it impossible to divide the cost among several families. Generally, the net effect of these regulations is either implicitly or explicitly intended to lower density. One glance at the population distribution map above should confirm that there is more than a passing correlation between 'low density' and 'overwhelmingly white'. That is disparate-impact at work: it is subtle in the wording of zoning codes, but the net effect over time is clear. The question now is: will the government begin to tackle the inequities created by local zoning codes? And how? Years ago, when I was learning how to drive, my mother made sure to emphasize the fact that a motor vehicle is a lethal weapon. Nearly two tons of steel and plastic, moving at speed, is dangerous when misused or mishandled. That's not cause to be passive, but rather, to be cognizant of the consequences and continually vigilant. As a teenager, it was easy to get excited about the new power available to me, while not considering the risks, nor giving thought to others in the world around me -- except as obstacles. And like most Americans, I managed to make it through those years without serious incident, despite some mistakes, with the help of a few lucky breaks here and there. Because I was okay personally, I didn't think much beyond that, at the time. Having spent several years on walking, bicycling and transit advocacy, I have a different, "outside-the-windshield" perspective on these matters nowadays. The power of the motor vehicle I can still appreciate, but I can also see how it is too easily abused. With one barely perceptible pedal push, a driver can blast past a child waiting at a crosswalk, and hardly notice at all. Or seeing brake lights ahead, a driver swerves to pass the one car that had yielded, and barely skims past a person crossing the street. The noise, grit, and grime caused by the passage of fast-moving motor vehicles is out-of-sight, out-of-mind to those drivers that create it. Even if nobody is physically harmed, the physical characteristics of living environments that facilitate speeding, heavy vehicles are unfriendly to human beings. To behave humanely behind the wheel takes hard work, and a commitment to consider the other people around you. "Might does not make right" is the ethical principle that I believe is most applicable to transportation projects in our cities and towns. My feeling is that we have an obligation to protect the vulnerable from the powerful, and not only to protect, but to promote and serve. That is what forms the ethical basis of what I try to do. The coalition of people who promote automobile interests are usually very strong, very rich, and very powerful. Motor vehicles are expensive to own, to maintain, and are highly wasteful of space. Any available room on the roads is quickly consumed by even a small increase in the number of vehicles. The resulting congestion can be enraging to drivers, as their expensive and powerful machines are trapped in a mire of their own making. At both home and destinations, without a readily accessible 300 square-foot piece of land for storage, these machines become a enormous burden on their owners, who then proceed to lash out in frustration. Automobiles can provide convenient and quick transportation when everything works out, but when the systems quite frequently fail, the problems that stack up are often 'solved' at the expense of other people, especially the most vulnerable. Sidewalks are narrowed. Trees are cut down. Crosswalks eliminated. Bike facilities are completely omitted. Fences are put up. Transit is dis-invested. Highways are blasted through neighborhoods. Children aren't allowed to walk to school, or the park. Desperately needed housing development is canceled for imagined fear of "parking problems." Economic growth is stifled because "it might cause traffic." We can no longer properly build cities for people because all of our modern rules and regulations are designed to produce cities that only a machine could love. Motor vehicles are powerful, and many of the people who own them are powerful. Motor vehicles are also very useful, and are a great boon to our civilization when used safely and prudently, within reasonable limits. But that does not make it right to give in to their every need. Without check they would take away our land, our natural resources, and the quality of our air. Thankfully, over the past several decades, the work of countless citizens has produced some legislative and political help, through endless community organizing. It's a continuing effort, and it's very important that everyone participate. Being obstructive is not enough: a great deal of damage was done by the Utopian automobile idealists of the 1950s who never gave any thought to the communities that were harmed by their schemes. That damage has yet to be repaired in many cases. To give a concrete example: on June 17th, MassDOT will present the latest installment in the ongoing saga to rebuild the Allston Mass Pike interchange (6:30 pm, Jackson-Mann school). Fifty years ago, the Mass Pike extension widened the railroad right-of-way, taking houses, and leaving behind a huge scar across the Allston/Brighton neighborhood that has never been properly managed. The crossings are decrepit and crumbling, and not accessible to many people with disabilities. The streets that were rebuilt back then were given designs that had almost no consideration for people on foot, much less on bicycle. Dangerous highway ramps cut in at sections that seem to be designed to interstate highway-spec, despite being city streets. 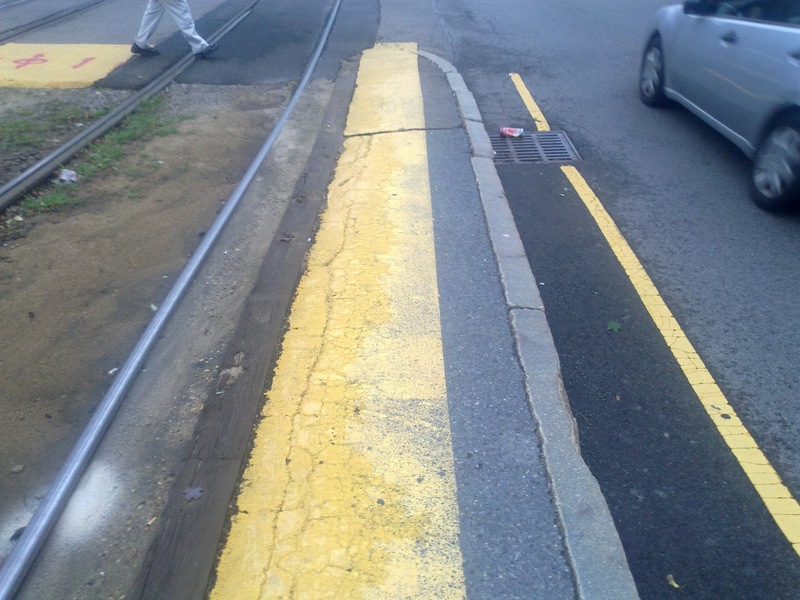 Some bike lanes were painted in an effort to try and do something, anything at all, but despite the well-meaning effort, the street remains a major problem. Two years ago, the Patrick administration announced a project that had the potential to fix all kinds of problems with the interchange. A dangerous curve in the highway would be straightened. The old-fashioned tollbooths would be replaced with modern, automated systems. The whole mess of city streets left behind by the 1960s extension project could be reworked, finally reuniting North Allston with south, and building a whole new neighborhood in between. 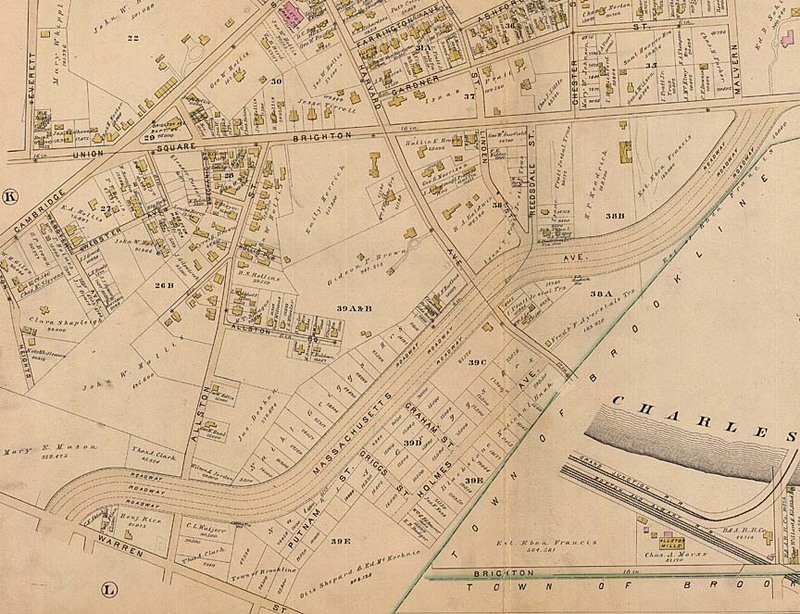 And to top it off, a new 'West Station' on the Worcester line would finally give Allston back a railroad station somewhat near the site of the original station around which the community was founded. In the past year, the DOT design team told us often that they "don't do city planning" and it appears that they don't intend anyone else to do so either. It's hard to imagine anything neighborly fitting between those massive connectors (that will rise on earthen berms above grade, by the way). West Station is included, but can you imagine making the connection to or through that while walking precariously on a pathway above 10-12 lanes of roaring highway and some number of railyard tracks? This design is a highway design, engineered for the comfort of drivers first, and everyone else second. Yes, it's an improvement over the old ways, in that it will all satisfy accessibility regulations, and there are connected sidewalks and protected bike lanes. But with this car-first design, it seems that those facilities will only be used by necessity, not by choice. We have often been told that "the computer models" require this many lanes, or that size an intersection, etc. The models, of course, have been programmed by engineers to try and predict the future. They say that they can tell us what the behavior of people in the year 2035 will be, with precision. They will tell us that unless they build all of this road space, we will be threatened by some kind of 'traffic armageddon'. It's a bullying tactic, plain and simple. Common sense should tell anyone that trying to predict the future is impossible, much less making precise predictions about conditions on a particular road 20 years from now. The models that they create are nothing but a set of equations and parameters chosen by the people who designed it. These models are as fallible as the people behind them, and can be used to say anything at all. Usually, they are used to say whatever it is the people who hired the modelers want them to say. In this case, the powerful have spoken, and they have said that they want more automobile capacity in our neighborhood, at our expense. Whenever you hear an engineer say "the models predict increased traffic by X" what you should translate that to is "automobile interests want increased capacity by X, and nothing else matters." Let's contrast this situation with what it might be like if MassDOT took the other side and tried to help provide space for a new neighborhood with good connections to the surroundings. Then the street network would be laid out at a human scale, with smaller blocks, smaller streets, and a collaboration with city planners in Boston. When it came time to talk about automobile capacity, instead of sending us an ultimatum that "we must tolerate a massive additional influx of vehicles or else", they would calculate the maximum capacity that is compatible with the city planning goals, and work to keep demand for the highway under that level. 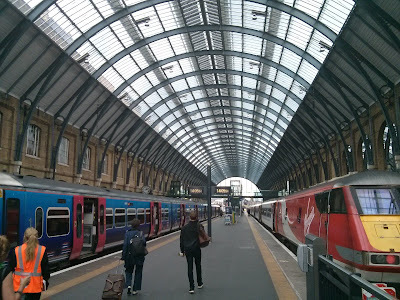 For example, perhaps it could be considered that commuter bus or train tickets should not be more expensive than paying the toll on the highway. Or that all employers that offer parking benefits must also offer 'parking cash-out' as a benefit for people who chose not to drive. The reason that this way of working is so tough for them to do, politically, is because it requires that they go to the powerful automobile-promoting interests and tell them: there is a limit, and beyond that, demand for the road is going to have to be managed somehow. An ever-increasing level of traffic on the Mass Pike is not an inevitability. That will only happen so long as more capacity is forced on us, so long as officials are too timid to use the tools of transportation demand management to control the problem at its source, and so long as might makes the right-of-way. 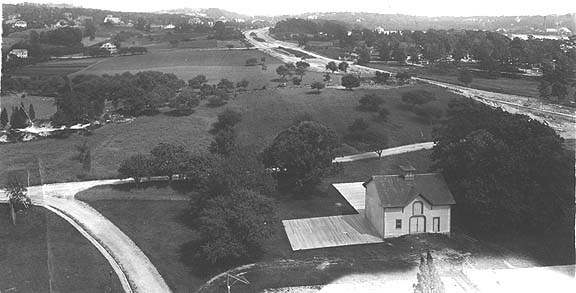 The section of Commonwealth Avenue between Packard's Corner and Chestnut Hill Avenue was largely built in the 1890s. Trolley service along this relatively new stretch of Comm Ave began May 26th, 1900. Prior to that, service to Lake Street typically ran via Beacon Street and Chestnut Hill Avenue. 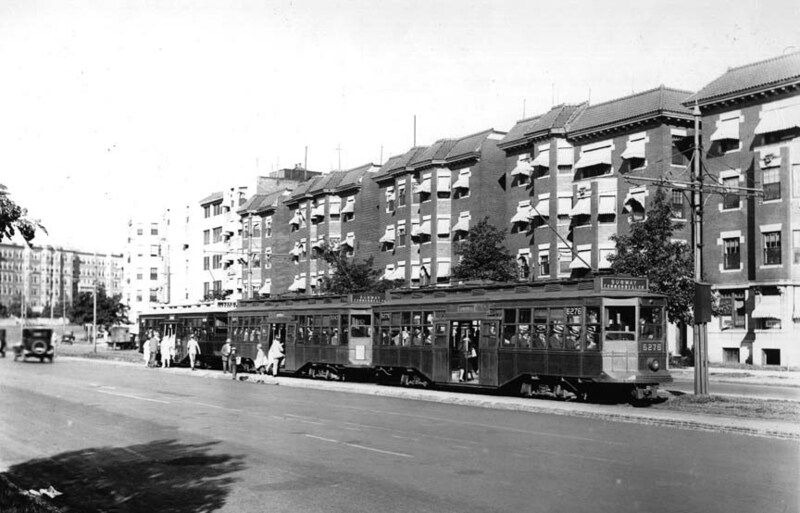 The electric streetcar service would eventually attract the transit-oriented development of the avenue that we see today, with large, graceful apartment buildings of various styles from the early to mid-twentieth century. Sadly, the current zoning code (from 1990) has chosen for aesthetic reasons to retroactively ban these kind of apartment buildings, and so none of them could be built today without many variances. That's a strange policy to maintain in a city that is ostensibly trying to generate housing units that are attainable to people of middle-class means. I was fortunate enough to view a presentation on the history of Comm Ave last year but it was not until recently that the slides and pictures were made available on-line. 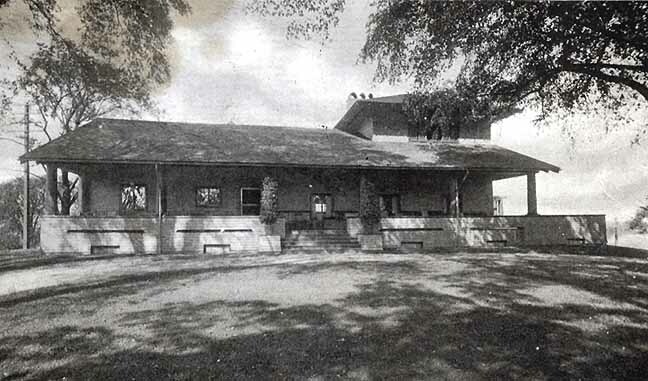 For more of these pictures and history, please visit the website. 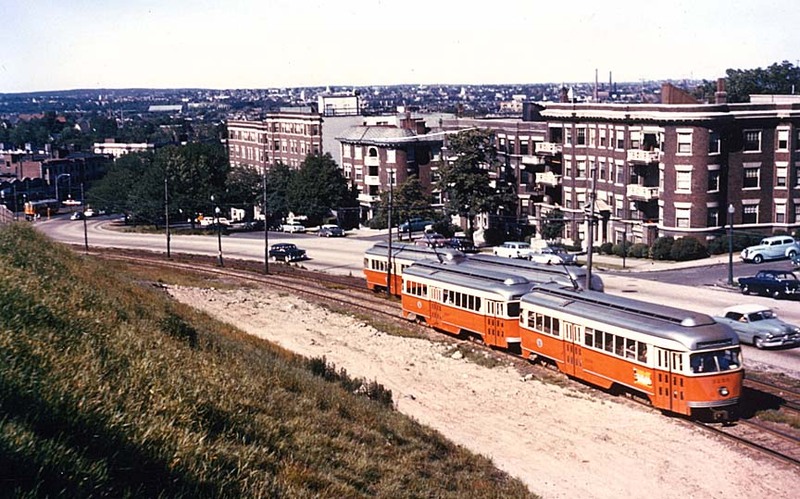 What we now call the Green Line "B" branch has gone through many changes over the years. Obviously when the MBTA was formed, the rebranding changed it from merely having a streetcar number into being integrated as part of the color-coded 'rapid transit' map (sadly, while not really improving service). The reservation has been shifted towards the center as part of road-widening efforts in the 1950s and the 1970s, resulting in the awkward intersection at Warren Street, where work ceased. The trolleys gave way to big 'light rail vehicles' that now carry approximately 30,000 passengers a day, averaging a snail-like 6-10 mph due to overcrowding and degrading infrastructure. The stations have not seen much in the way of upgrades, either, largely remaining as tiny asphalt strips with the occasional concrete barrier or plastic shelter added. At times, many stops were eliminated or consolidated, most recently about ten years ago, when Mt Hood Rd, Summit Ave, Greycliff Rd, and Fordham Rd were permanently retired to help improve spacing. We're looking forward to having another four closely-spaced stations be consolidated into two appropriately-spaced, fully accessible stations. The T has promised us signal priority for years, and claims to be experimenting with it. We're still waiting for the use of all doors on the surface to help speed up boarding and alighting, as well as full accessibility for everyone. 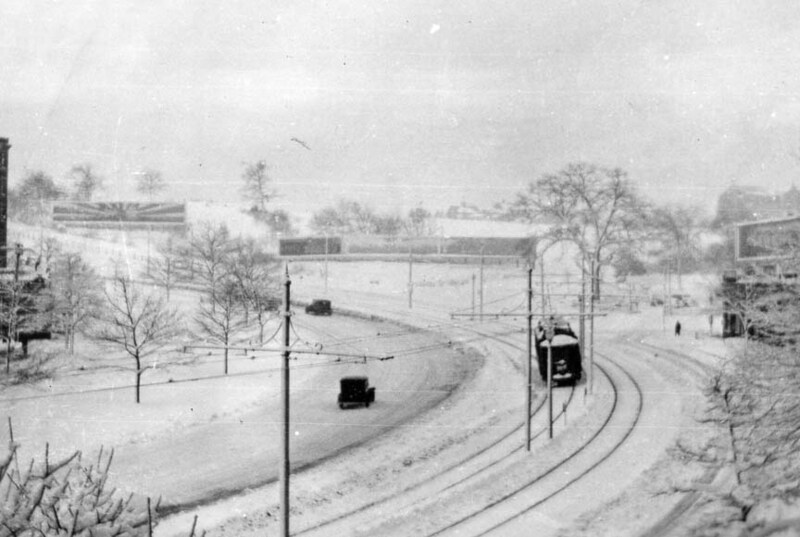 As the twentieth century progressed, Comm Ave was turned more and more into an asphalt wasteland: big sections carved out for angled parking, with a few sickly looking trees inhabiting the neglected median islands that were left. 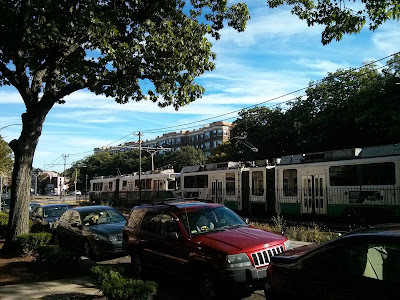 The Green Line and its riders were largely disregarded, probably considered relics of the past that would be replaced by mass car ownership and buses. But the Green Line is a survivor. 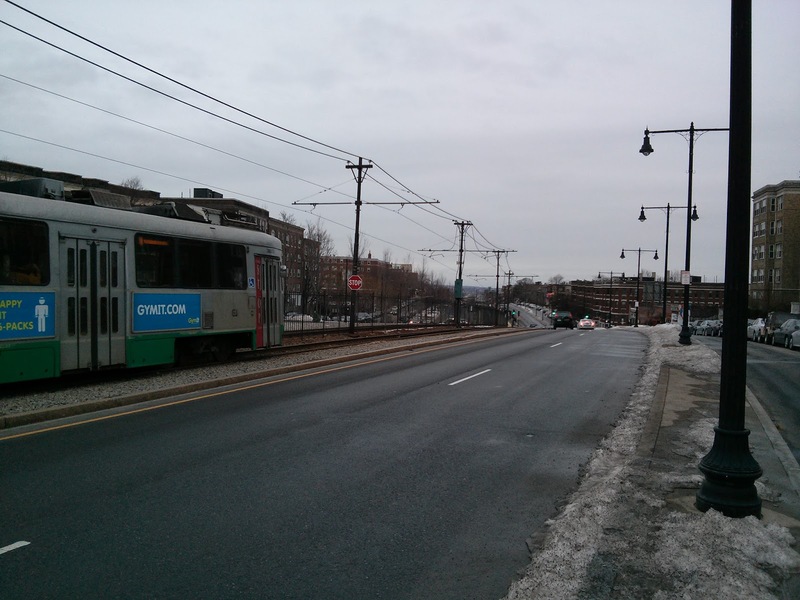 Despite how poorly it has been treated by the city and the MBTA, the "B" remains the busiest branch of the Green Line, and the surroundings remain highly transit-oriented, with some of the lowest car ownership rates outside of Boston proper. We have an opportunity to change the future. The city is brewing up a design for what they call Comm Ave Phases 3 and 4. 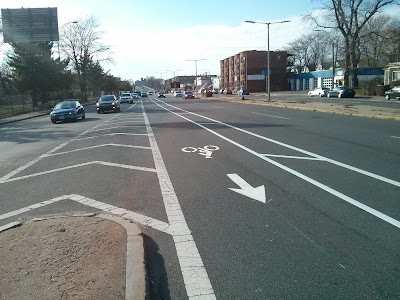 That covers the section of Comm Ave from Packard's Corner up to Warren and Kelton Streets. This is part of the section that was constructed in the 1890s, and it's 200 feet wide, a lot of space. Despite that, daily vehicle volumes are very low, about 12,000 ADT, a figure which is low enough that it could easily be handled even on a street with merely a single lane in each direction. Clearly, this should be a street designed for people. The city has claimed that they are going to do something to make the avenue much more friendly for walking, biking, and riding the Green Line. They claim that they will do something about the fact that there are extremely long intervals between crosswalks (and then those are also inaccessible to the disabled), with a fence blocking off part of Allston/Brighton from another. They claim that they can restore the idea of a Comm Ave 'greenway', an echo of its original conception, a park that connects from the Charles River to the Chestnut Hill Reservoir. The 21st century version of Comm Ave could be a lot friendlier to the community. But only if we remember to show up and hold them to it. I hope that this is more useful than the BostInno presentation. It's important to remember that the Assessing data only contains properties that continue to exist to this day, so anything demolished would not be recognized in this data set. I also noticed that in older properties, year of construction was sometimes rounded off to the nearest decade. And it's possible there are other errors. I had to correct a few more egregious and obvious ones (like fields being swapped), but more subtle errors could sneak by. Condos are handled by summing up the gross floor space for each unit and linking it to the land area used up by the overall building. Without spending too much time on analysis (that's for later), I'll note that we live in a turn-of-the-twentieth century city: most of the floor space created and still existing seems to have occurred between 1890 and 1930. The 1930s and 1940s had some fairly obvious reasons for a lull, but construction never really picked back up afterwards at the same rate. My hypothesis: Zoning in its modern form was enacted in the mid-1950s, which has put a heavy damper on construction ever since. The FAR chart shows that development generally hovered around 1.0 floor area to land area, but started to drop precipitously after 1930, until finally tanking at a miserable 0.21 during the 1960s. Although the amount of floor space developed increased from the 1950s into the 1960s, the amount of land area consumed zoomed up even higher. Zoning could explain some of it, but it's not clear to me why the 1960s are such an outlier in terms of land area consumed. (Turns out it was MassPort's harbor holdings, at 101 million s.f., which I have cut out from the data). By the 1970s, overall floor area ratios returned to a more historically normal average of 1.0 or so. More recently, overall construction averages have exceeded 1.5 FAR, albeit using incomplete data for this decade. Boston parcels gross area: 651,202,719 s.f. Boston parcels land area: 1,268,597,774 s.f.